The Florida Legislature passed CS/CS/HB 377 into law on May 4, 2017. The statute is an amendment to a previous law governing the statutes of limitation and repose for claims flowing from the design, planning or construction of an improvement to real property. The previous statute caused much confusion as to when the statute began to run. This led to tactical strategies by parties seeking to delay the running of the statute or seeking to extend the period of liability; thus, possibly increasing damages. Under the previous law, the statute of limitation for bringing a claim alleging a construction defect was triggered on the date of completion of the contract between the contractor and his or her employer. The statute of limitation is 4 years and the statute of repose is 10 years. When the previous statute passed, there was no clarification as to the definition of “the date of the completion of the contract.” A subsequent case (Cypress v. Bergeron) clarified the standard. Cypress held that the date of completion should be read as the date when the contractor receives final payment for the project. The vague nature of this definition caused construction customers to prolong the last payment as to extend the time of liability or to avoid triggering the statute of limitation. The bill, signed last year, is a direct result of the interpretation of the standard in the Cypress case. In the current statute, the “date of completion” is clarified as the later of the date of final performance of all the contracted services or the date that final payment for such services becomes due without regard to the date final payment is made. This definition lessens a contractor’s exposures to defects and costly claims that may flow from an extension. The new statute certainly provides clarity in the reading of the law. It also provides for clarity when contractors come to the table to negotiate contract terms. Given the defined parameters laid out in the new statute, it is wise for contractors and owners to clearly agree upon dates to accommodate the definition. This way of contracting will protect the contractor from prolonged exposure to construction defect claims. The new law also allows for parties to inject specificity when needed as to avoid terms that favor one party over the other. It further lessens the occurrences of tactical strategies used by parties who see a benefit in extending the time of liability. Before signing a construction contract, contractors should be aware of the new law governing the statute of limitations for defect claims. The first step is to hire an experienced construction law attorney who can guide you through the contracting stage and advise you on possible risks and advantages. 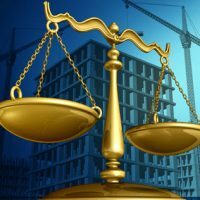 Attorney Brendan A. Sweeney is an experienced Florida construction law attorney with years of experience litigating and advising on construction law issues. Contact us for a consultation.